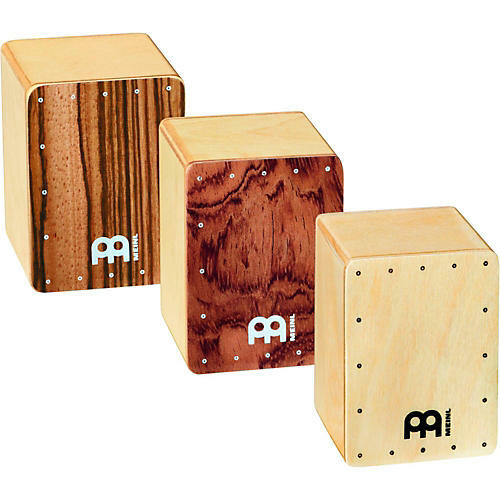 This 3-Piece Mini Cajon Shaker Set is a trio of small wooden shakers that produce three unique timbres of clear, cutting shaker sounds. This pack of three offers different frontplates, finishes and sounds. Dimensions: 2" x 2-3/4" x 2"